A brand new mobile casino just landed, and it looks out of this world! Genesis Casino is an intergalactic style casino that offers players access to hundreds of major slots and exciting casino games from a host of top developers. Mobile players are invited to hold the universe in their hands with the smart and intuitive Genesis Mobile Casino. It’s simple to use and also happens to look pretty awesome in the process, which is no mean feat! The simple controls allow you to quickly scroll through the many games as well as hop straight to your preferred gaming category or check out the latest offers with ease. After sign up, you’ll be able to benefit from their many promotions as well as count on top support thanks to their quality customer support. Their agents are available 24 hours a day and seven days a week. Get hold of them via live chat, email or telephone. Mission control is never far away at Genesis Casino! Genesis Casino offers the highest levels of security for their players. This includes the latest encryption technology to keep your deposits secure. They only accept trusted payment vendors including Visa, MasterCard, EcoPayz, EnterCash, Zimpler, Boku, Sofort, Paysafe Card and EntroPay, all of which can be processed instantly via your mobile phone. The casino is owned and operated by Genesis Global and is licensed by the UK Gambling Commission and the Malta Gaming Authority. Genesis Mobile Casino features over 1300 games from NetEnt, NYX, Microgaming, Evolution Gaming and Play ‘N Go. The gaming categories span Video Slots, Live Casino, Table Games, Jackpots, Roulette and New Games. Which one will you head to first? Mobile slots are a highlight at this casino, and you can find plenty of big name titles such as Book of Dead, Gonzo’s Quest, Immortal Romance and Jack and the Beanstalk. They are also home to some almighty jackpots including Hall of Gods, Mega Fortune and Mega Moolah! Classic casino games such as roulette, blackjack, baccarat and video poker can also be enjoyed at Genesis Mobile Casino! Just log in and start exploring those games! Genesis Casino offers a number of player promotions including this fantastic bonus for new customers! 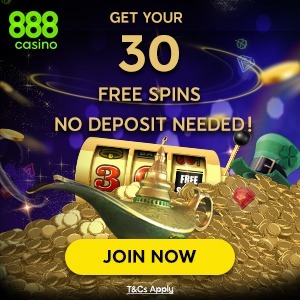 Here’s what you need to do to claim your 300 Bonus Spins and 100% Match Bonus worth up to £100! Use our link below to blast off to Genesis Mobile Casino! *Only available to new Genesis Mobile Casino customers making a qualifying deposit of £10 or more. The welcome bonus must be wagered 40x before you can cash out any winnings. Spins are issued 30 per day for ten consecutive days and will be valid for 24 hours in the game Starburst. Genesis Mobile Casino understands that gambling can become addictive and in some cases, it can spiral out of control for players. They have put procedures in place to help you remain in control of your gambling sessions including setting deposit limits. If you have any concerns, please seek help. Genesis Mobile Casino is licensed and regulated by the UK Gambling Commission and the Malta Gaming Authority. They feature games from reputable software developers that have been certified as fair by independent auditors. No need to travel to a galaxy far far away to find an awesome mobile casino, just head on over to Genesis Mobile Casino! Boldly go where no other casino player has gone before. Ok so that might not be true but this casino is still pretty new so you can be one of the first to try out Genesis Mobile Casino!